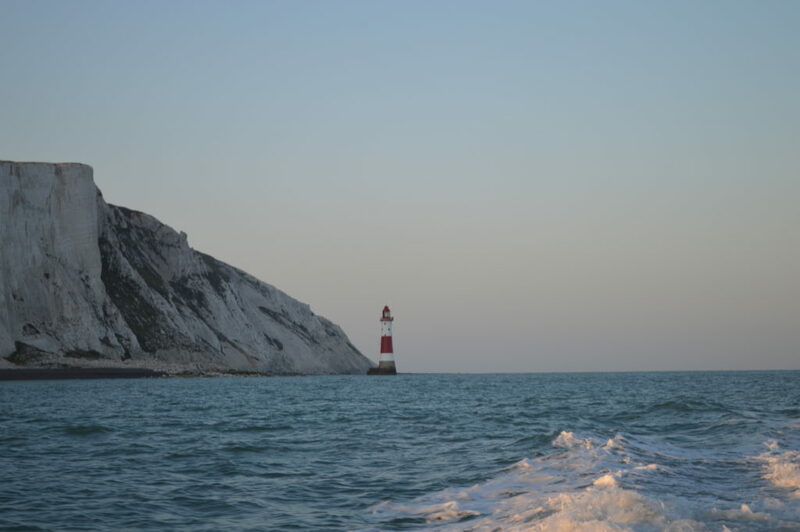 Site seeing with Sussex can be a multitude of experiences, cruising along the coastline passing Eastbourne Pier, the Wishing Tower, Beachy Head and beyond to the White Cliffs of the Seven Sisters enjoying the fresh sea air. 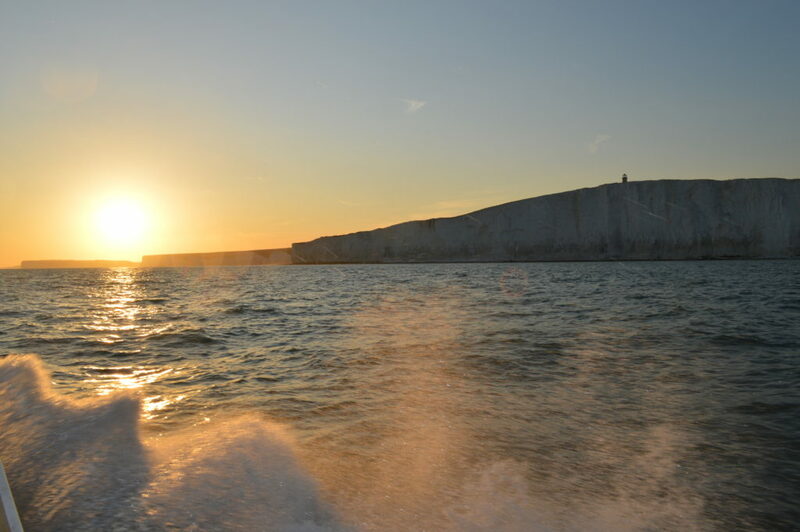 Mike Keane (Skipper) has a wealth of fabulous history about Eastbourne Coastline and is happy to share his knowledge on board with all passengers who have the pleasure to enjoy a scenic day out on board our wildcat catamaran. Sussex has step free boarding so passengers can walk on with no gunnels to step over. 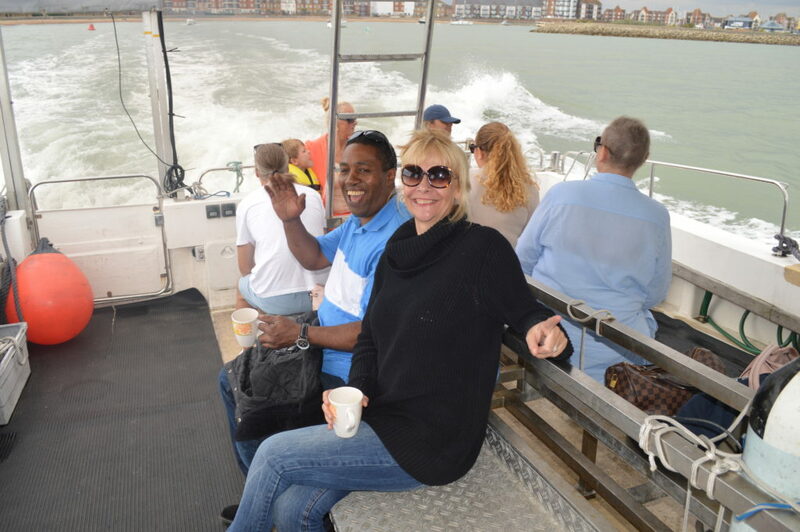 Although Sussex has Wheelhouse seating for 6 most passengers prefer to sitting outside in spacious deck area with seating for more than 12 people. On board in the Wheel House has a full galley with Gas Cooker with Oven and Grill, Fresh Tea or Coffee, Bottled Water on board free of charge. 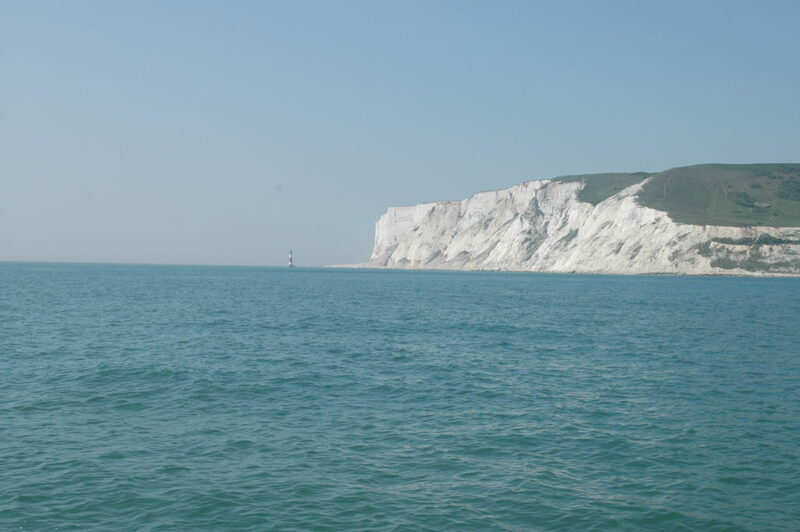 Sussex is coded for 12 passengers and 3 crew for 60 miles from any safe haven as the gunnels are more than 1m above the water line, this means that passengers can enjoy the view without being overloaded with wet weather gear or life jackets or getting wet. Note: Direction of the trip will depend on prevailing tide and subject to weather conditions on the day. In the event of cancellation due to weather, a full refund is offered. If you have a different passage plan then please contact us. 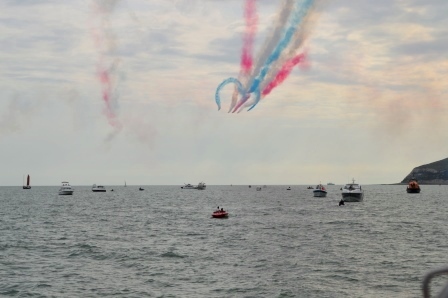 Once a year in August we have the Eastbourne Air Show , which displays a fabulous fleet of different aircrafts e.g. Chinook, Spitfire, Typhoon, just to name but a few followed by the spectacular Red Arrows so this in itself is a fabulous day out at sea to see all these old aircrafts reunite together for a memorable day. For booking, site-seeing tours please feel free to email us your requests.